Heading Value, quality and performance. Directions Gently squeeze a small amount onto a moistened pouf, sponge or washcloth. 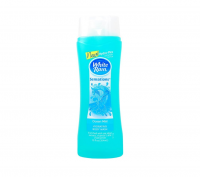 Work into a rich, creamy lather and rinse. 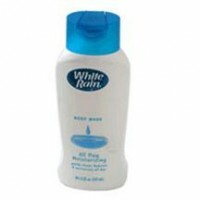 Uses Transform your spirits with White Rain Energizing Citrus Body Wash. This special formula has a unique blend of fruit extracts including bilberry, orange and lemon, which leaves your skin feeling soft and invigorated. A complex of vitamins A, B3 and B5 nourishes your skin, while gentle emollients moisturize. The rich lather gently cleanses while leaving your skin healthy and radiant with each wash. To enhance your experience, use with White Rain Energizing Citrus Shampoo, Conditioner and Mousse. This product has not been tested on animals. Warnings For external use only. Avoid contact with eyes. If contact occurs, rinse eyes with water. Use only as directed.